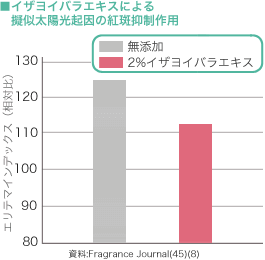 高山 悟, et al（2017）「ミドルエイジからのUVケアとイザヨイバラエキス」Fragrance Journal(45)(8),45-48. 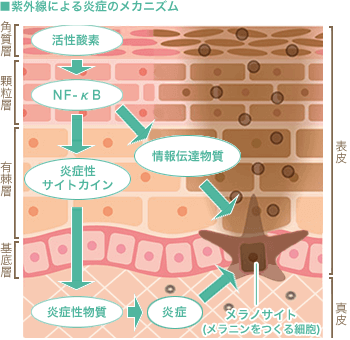 Liliana Schaefer（2014）「Complexity of Danger: The Diverse Nature of Damage-associated Molecular Patterns」Journal of Biological Chemistry(289)(51),35237-35245. 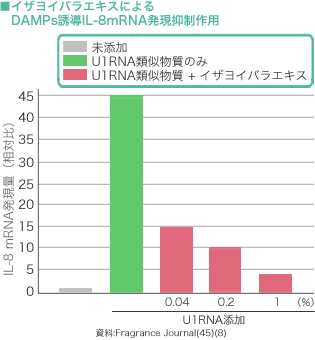 Bernard JJ, et al（2012）「Ultraviolet radiation damages self noncoding RNA and is detected by TLR3.」nature Medicine(18)(8),1286-1290.